RIO DE JANEIRO (AP) — Brazilian prosecutors have asked a judge to approve charges against conservative presidential candidate Geraldo Alckmin. They accuse the former governor of Sao Paulo state of receiving illegal campaign contributions amounting to $2.5 million in his 2014 election. Alckmin, who has struggled in the polls, denies any wrongdoing in the case linking him allegedly illegal payments by constructor Odebrecht. His lawyers called Tuesday’s accusation “noise from a prosecutor” shortly before the October elections. Investigators at Sao Paulo state prosecutors’ office said Alckmin’s political rights should be suspended, but that’s unlikely to happen before October’s election. They also want the candidate to pay an amount equal to the contribution to the government. 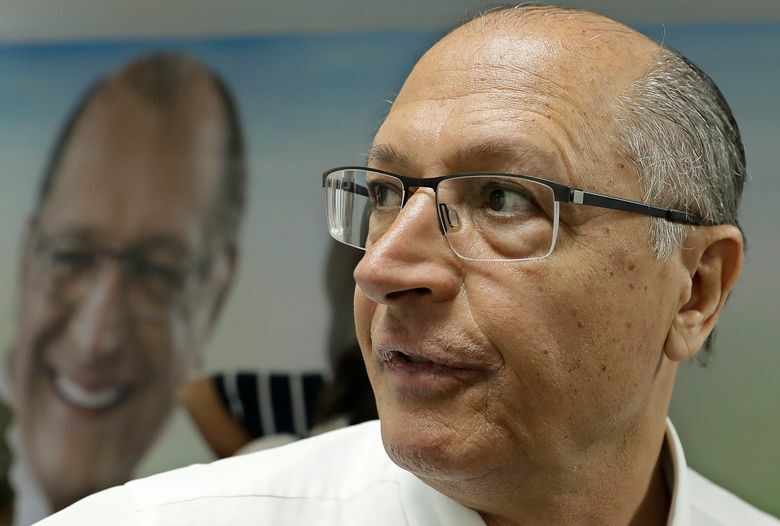 Alckmin is widely seen as the most business-friendly candidate in the election and has the broadest coalition, which includes five parties, giving him more free campaign airtime than any other candidate. The same prosecutors’ office is also seeking charges against another likely candidate, Fernando Haddad of the Workers’ Party. Haddad is expected to take over as presidential candidate for jailed former President Luiz Inacio Lula da Silva, who was barred from running by Brazil’s top electoral court on Saturday. Da Silva leads in voters’ preference at almost 40 percent, according to several polls, despite his corruption and money laundering conviction. He denies any wrongdoing. Haddad, who is currently a candidate for vice president, said earlier during a campaign event in Sao Paulo that his party will appeal to the country’s Supreme Court seeking to overturn the electoral court’s decision. The Workers’ Party’s deadline to replace da Silva on the top of its presidential ticket is Sept.11. Associated Press journalist Victor Caivano contributed to this report from Sao Paulo.